DALI unveils $4,300 to $5,300 Callisto series speakers packaged with BluOS streaming module Sound Hub to send audio wirelessly from connected stereo sources. Executives unveiling DALI’s high-end Callisto wireless speakers and Sound Hub in New York City included (from left) Tony Williamson, BluOS product support manager for Lenbrook International; Stephen Baker, Lenbrook’s senior sales director for the Americas; and Thomas Knudsen, DALI sales manager for North America and parts of Europe. DALI (Danish Audiophile Loudspeaker Industries) and Lenbrook, its new U.S. distributor, are claiming some notable firsts with the debut of DALI’s Sound Hub and companion Callisto-series wireless speakers. The launch marks DALI’s first foray into non-Bluetooth wireless speakers (The company previously launched its Bluetooth KATCH speakers.) 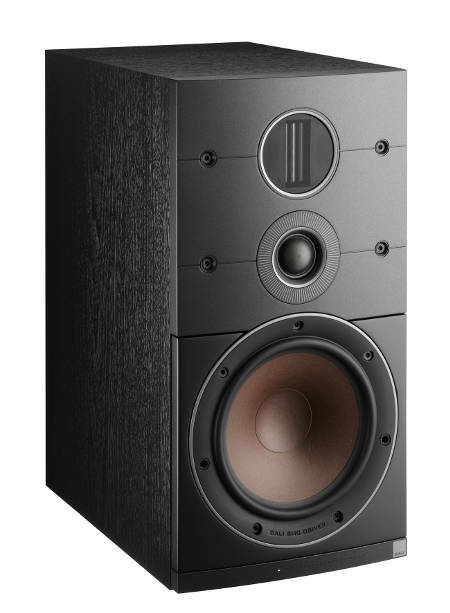 The new $4,300 to $5,300 Callisto series active floorstanding and stand-mount speakers are packaged with a $450 Sound Hub BluOS streaming module to sends incompressed 96kHz/24-bit two-channel audio wirelessly from connected stereo sources. Connected sources include external sources such as SACD players and TVs, Bluetooth sources, and an optional $450 plug-in BluOS wireless-multiroom streaming module. The solution also marks the first time the Lenbrook-developed BluOS wireless-multiroom platform is available from a brand other than the Lenbrook-owned NAD and Bluesound brands. Additional brands not owned by Lenbrook will also adopt BluOS, Lenbrook Americas senior sales director Stephen Baker promised during a New York City press conference. With the optional BluOS module, the Hub streams standard- and high-resolution music from Cloud-based streaming services and from networked music libraries via the module’s built-in Wi-Fi radio and Ethernet port. Also via the module, the Hub joins a BluOS wireless-multiroom network that includes BluOS-equipped audio products in other rooms of the house, all controlled through BluOS apps for iOS and Android smartphones and for Windows and Mac computers. The platform supports high-res audio up to 192kHz/24 bits and multiple lossy and lossless-audio formats, including master-quality MQA. For the Hub and Callisto speakers, DALI turned to its own proprietary wireless-audio technology even though it is a member of the Wireless Speaker & Audio Association (WiSA), whose wireless 96/24 technology eliminates speaker-cable runs not only to stereo speaker pairs but also to all speakers in a 7.1-channel home theater system. and an optional $450 plug-in BluOS streaming module. DALI developed its own technology for a couple of reasons, DALI area sales manager Thomas Knudsen told CE Pro. Touching a touchpanel on one speaker controls volume for both speakers and any subwoofer connected to the Hub’s subwoofer output, he noted. Also to improve convenience, the Hub features auto-sensing source selection, so the Hub turns on and switches to the proper input when a connected source is turned on. Because the Hub can be upgraded via future plug-in modules, Knudsen added, future modules could add wireless home-theater support. DALI’s wireless solution, Knudsen said, eliminates the dilemma of choosing between high-quality audio and convenience, which includes the Hub’s ability to be placed in any location in a room away from the Callisto speakers. The Callisto speakers consist of the 6C floorstanding speaker at $4,500/pair and the stand-mount 2C at $3,500/pair. Both are biamplified and incorporate Class D amplification delivering 30 watts of continuous output per channel with the ability to sustain 250-watt peaks for five seconds and up to 300-watt peaks at shorter durations, Knudsen said. The 6C features two 6.5-inch woofers, a tweeter, and a supertweeter, while the 2C deletes one of the woofers. The cabinets are available in a choice of black or white vinyl. 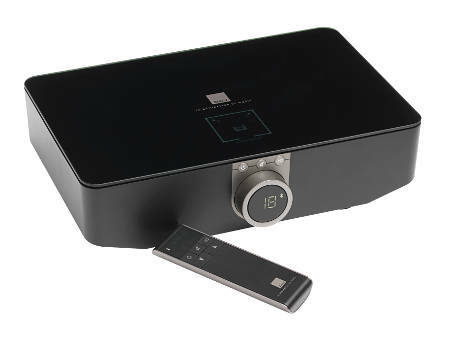 The Hub itself comes with physical cable connections to such sources as SACD players and TVs via two analog inputs, two Toslink optical inputs, and one coaxial input. The Hub also delivers in-room playback of Bluetooth-connected sources and supports Bluetooth’s mandatory SBC stereo codec as well as three optional higher quality Bluetooth codecs: Apple’s AAC, Qualcomm’s apt-X and Qualcomm’s apt-X HD codecs. The apt-X codec steps up Bluetooth-audio quality to 48 kHz/16-bits, while apt-X HD takes quality up another notch to 48 kHz/24-bits with a higher signal-to-noise ratio. Two back-panel expansion ports accept optional plug-in expansion modules, the first of which is the BluOS module, but future modules could be developed to add wireless home theater functionality and HDMI to the Hub, given the Hub’s ability to support up to 10 speakers within a room, said Knudsen. Other modules could potentially be developed to integrate with other wireless-multiroom-audio platforms, he added. The Hub uses the 5.8GHz band to connect wirelessly to speakers because the band is less crowded and thus more reliable for music playback, Knudsen said. Because the band does not penetrate walls as well as the more crowded 2.4GHz band, quality transmission is limited to a single room, though the room can be very big, with wireless range hitting 50 to 60 feet without walls, Knudsen said. DALI’s stand-mount Callisto 2C wireless active speaker retails for $3,500/pair. The Hub and speakers can be controlled via an included Bluetooth remote, which controls on/off, volume, and selection of sources, including BluOS-module selection. The remote also skips tracks when the Hub streams BluOS sources. Through a BluOS app on a smartphone or computer, users get more control over the BluOS module, including the ability to select individual streaming services, streaming-service channels, and songs stored on networked computers, smartphones and Bluesound’s own Vault 2, which is a combination CD ripper and 2TB music hard drive. External sources connected physically to the Hub cannot be redistributed to other BluOS products, nor can Hub-connected Bluetooth sources. With BluOS’s product selection growing, consumers can grow their wireless-multiroom systems from one or two Bluesound tabletop wireless speaker over time to include additional options, such as Callisto audiophile speakers and NAD home-audio components, said Tony Williamson, Lenbrook’s BluOS product support manager. NAD also offers a BluOS solution for the CI channel in the form of a rack-mountable four-zone BluOS streamer for use in custom-installed wired-multiroom systems. “We are making BluOS the logical choice in wireless multiroom platforms for custom integrators,” said Lenbrook’s Baker, who also pointed to the ability of major-brand home-control systems to control wireless BluOS products. Compatible home-control systems are available from Control4, Crestron, Elan, RTI, URC, Lutron, iPort and Australia’s Push. At September’s CEDIA Expo, Lenbrook will expand its booth to 20x30 feet to make room for DALI’s Callisto speakers, other DALI speakers, and demonstrations of BluOS-product integration with multiple home-control systems, Baker said. DALI products will also turn up at October’s Rocky Mountain Audio Fest in Lenbrook’s booth along with other Lenbrook brands. Also at CEDIA, DALI plans to introduce a new passive-speaker series, says Knudsen. In the U.S., Lenbrook offers many of DALI’s lines, which range in price from about $229/pair to $20,000/pair and consist mainly of passive speakers. PSB speakers, in contrast, range in price up to $7,995/pair. DALI turned over U.S. distribution to Lenbrook from another multi-brand audio distributor in February. DALI believes Lenbrook would focus more on the DALI brand, DALI’s Knudsen said of the switch. DALI has about 50 to 60 A/V specialists and custom integrators in the U.S., he noted. connected to the $800 Sound Hub. 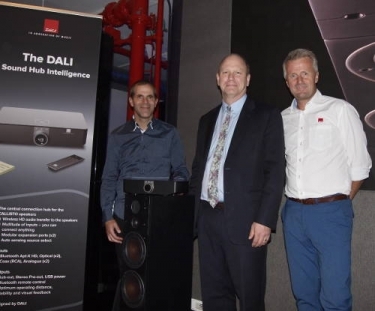 During last Thursday’s press event, Lenbrook’s Baker said his company would build the DALI brand by using its existing in-house sales team and leveraging its NAD, PSB and Bluesound dealer base while maintaining DALI’s existing dealers, who share the same A/V-specialty profile as Lenbrook dealers. Lenbrook owns the NAD component-electronics, PSB speaker, and Bluesound wireless-multiroom brands but also markets B&O Play products to the specialty channel in the U.S. and Tivoli Audio tabletop audio in Canada. View Joe Palenchar's complete profile.